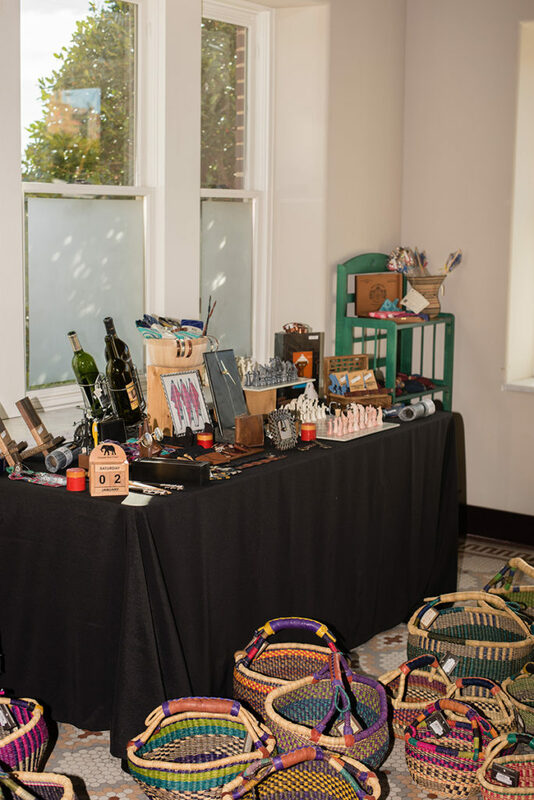 Global-minded shoppers will once again find the seasonal fair trade shop of local non-profit PAMBE Ghana in Oklahoma City’s Midtown, at the Sieber Apartments, 1307 N Hudson. The Market will be open this year from Nov. 1-Dec. 24. Old and new friends are invited to the Global Market’s grand opening party, from 4:00-6:00 pm on Saturday, November 3, which will feature food, drink, music (and shopping), and a chance to learn about the school PAMBE Ghana supports in northern Ghana, La’Angum Learning Center (LLC). Founder and Executive Director Alice Iddi-Gubbels will provide her annual update on the school, the children and future plans. This year LLC has an enrollment of 278 students from pre-school through grade 6. The school’s remote location, in a rural area without running water or electricity, brings the promise of literacy to children in the nearby, underserved villages. Education is offered to girls and boys, as well as children of all faiths. To date LLC has graduated three classes of 6th graders, who have moved on to junior high school. There are 35 pre-schoolers in this year’s entering class. All Global Market merchandise is fair trade; it is purchased directly from artisans or from certified members of the Fair Trade Federation. 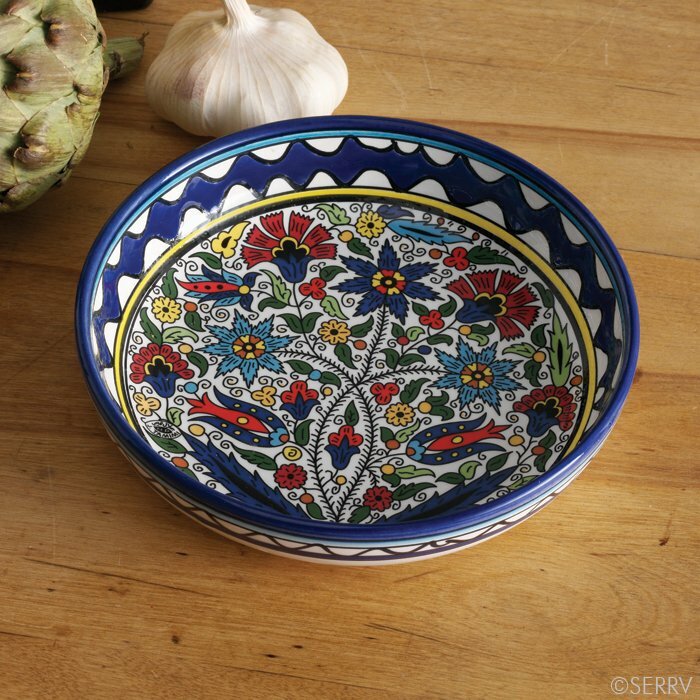 Fair Trade principles include a guarantee that artisans are paid a fair price for their products. They also receive assistance with design development, quality control and improved working conditions. 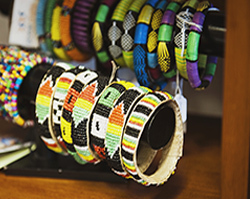 Global Market fair trade products come from countries on almost every continent. More than 50 volunteers are involved in ordering the merchandise, setting up (and breaking down) the market each season, and staffing the market each holiday season. Some have been volunteering since PAMBE Ghana staged its first Global Market ten years ago. Noon - 6:00 pm Tuesdays through Saturdays. It will close at 3:00 pm on Monday, December 24. The Market is also available by appointment for private shopping and small group functions. For more information about The Sieber Apartments, visit www.thesieber.com. How Far Can Your Contribution Go? Volunteers are needed in Oklahoma City to help organize and staff our seasonal Global Market and other fundraising events efforts. If you have expertise in publicity, social media, special event planning, donor databases, grant writing or donor development, we need you!! If you love our mission, we welcome your help.